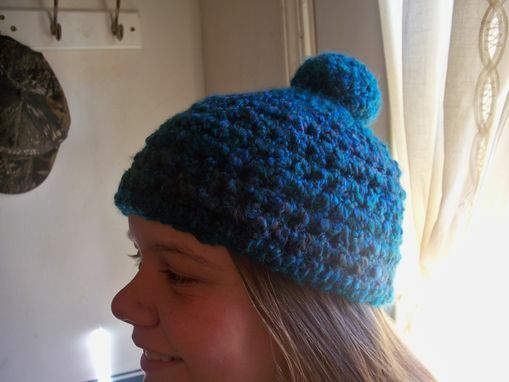 Beanie hats are a fun way to express yourself and liven up those cold winter months! My beanie hats are highly customizable and quick to make. 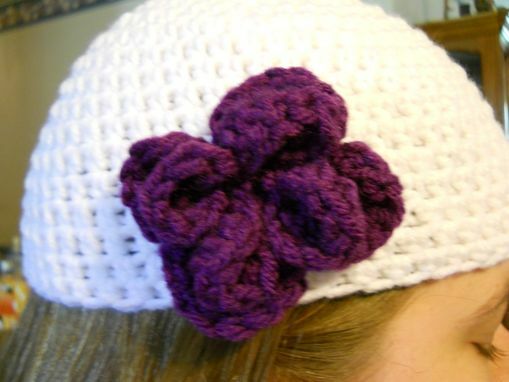 I will give you a complete custom form to fill out and send it back to me by email so that your order will be perfect. **Please note that processing times will vary greatly on these orders as they ARE made to order. I will keep you updated throughout the entire process to ensure that you are totally satisfied with your experience. 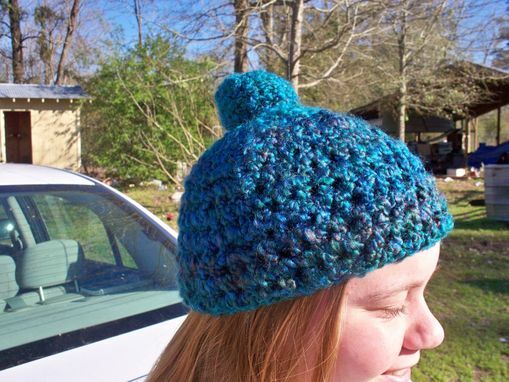 ***The teal-colored beanie with the pompom is currently available for sale. 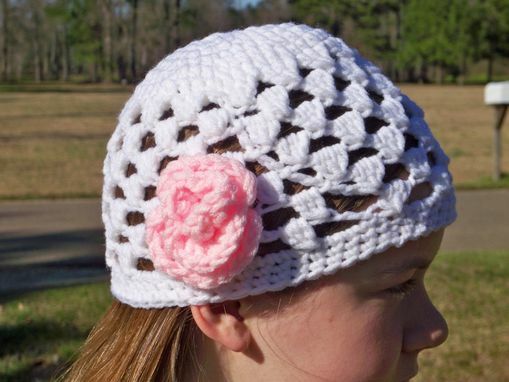 It is made with LionBrand Homespun yarn and is very soft. 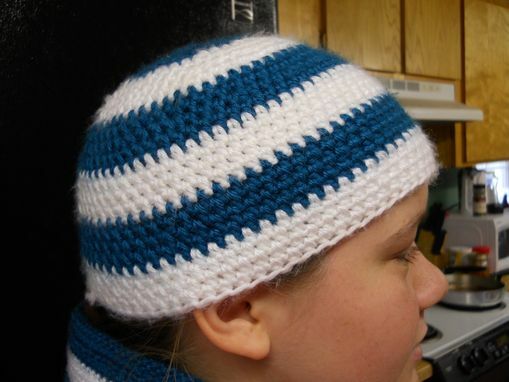 To order this hat, please select under variations: "blue with pompom" This hat has a 1-3 day processing time.